Opera, boring? They're out to prove otherwise. (SPOT.ph) The opera is not everyone’s cup of tea. It’s hard to follow the lyrics—if you can understand them at all. Without subtitles, you're left guessing what's happening on stage and wondering if you're getting the story right. 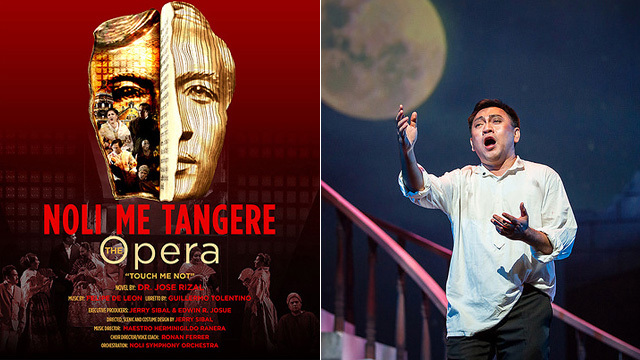 But Noli Me Tangere, The Opera is not your ordinary opera. We list 10 reasons why you should catch its limited run. It's bursting with the greatness of Filipino artists. Cultural Center of the Philippines president, Raul M. Sunico, pointed out on the January 28 opening night that the Philippines is more than its white-sand beaches, beauty pageants, and boxing champions; it's also the home of critically-acclaimed talents. 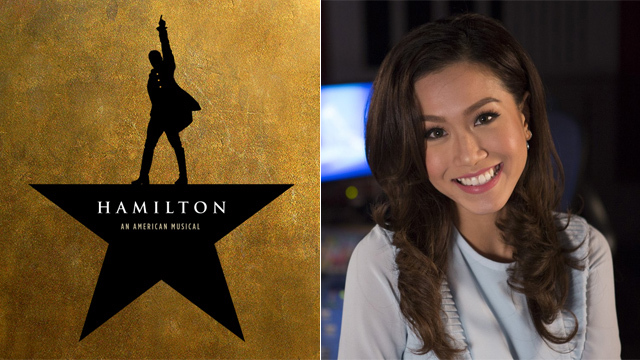 It is the first Filipino full-length opera. 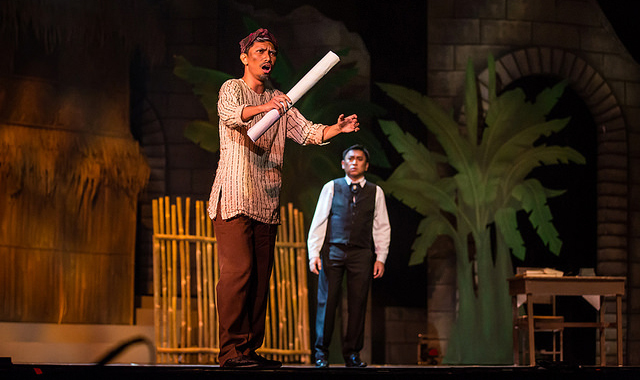 Noli Me Tangere, The Opera was first staged in 1957 at the Far Eastern University. You may have to wait another 30 years before you can watch it again. Hopefully not! 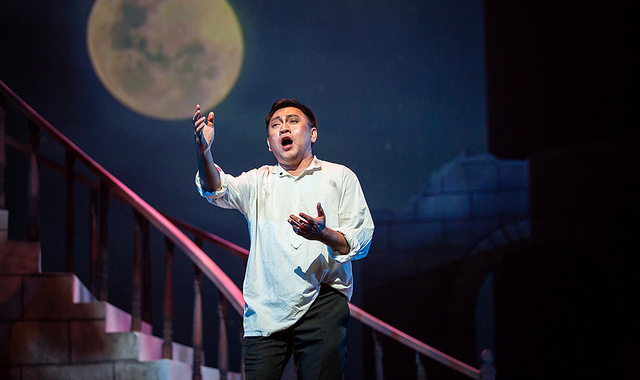 After the first production, it took 30 years before Noli Me Tangere, The Opera was shown to the Filipino public once again. It was staged at the Nicanor Abelardo Hall in the Cultural Center of the Philippines in 1987. After that, it took 25 years before it was up for campus production through the Dulaang Unibersidad ng Pilipinas in Diliman. A more public run happened in 2014 at the Newport Performing Arts Theater in Resorts World Manila. There are Filipino and English subtitles. The whole opera is sung in Filipino, but a foreigner won't have a hard time since there are subtitles. The translation is projected on the proscenium arch of the stage. You can even follow the singing, which is a bit challenging to understand because of the high notes, through the Filipino subtitles. The set design is magical. Designer Jerry Sibal, who’s also the director, infused the set with projections of digital imagery to make the scenes more engaging. It’s a good refresher course on Filipino literature. Particularly Noli me Tangere, obviously. 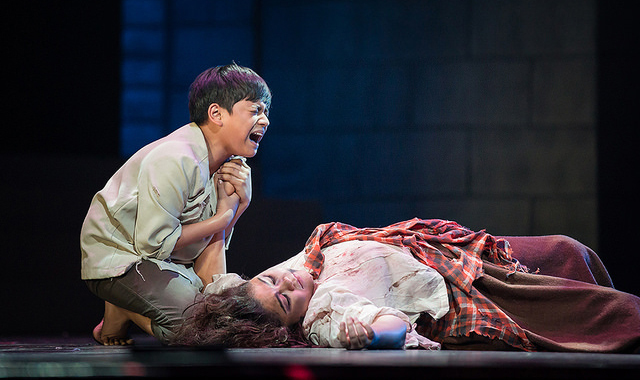 Padre Damaso’s tinola scene may have been dropped in the opera version, but we definitely love the heartbreaking and short-lived reunion of Sisa with his son Basilio. It runs for just three hours. Unlike the Noli Me Tangere novel which you probably studied in school for one whole year (or semester), the opera version has a total running time of three hours. The two acts, each divided into three scenes, have a 15-minute intermission. 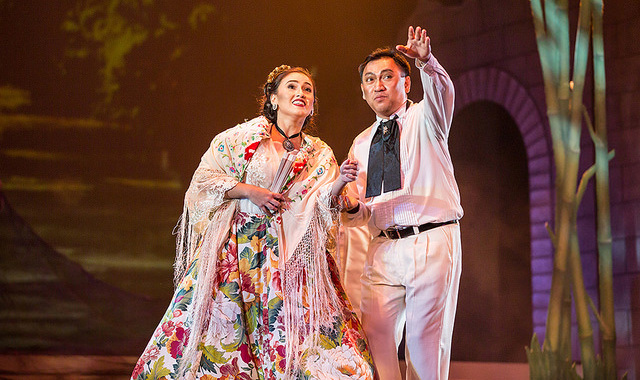 It got standing ovations in the U.S.
Filipino-American viewers and foreigners gave Noli Me Tangere, The Opera rave reviews when the show was staged around the U.S. Filipino-American businesswoman and philanthropist Loida Nicolas Lewis was so moved by it when she watched it in Chicago that she decided to spearhead the New York run in 2012. Everything is fueled by passion. Sibal and his co-producer Edwin Josue, both New York-based Filipinos, revealed that it was challenging for them to find sponsors for the 2017 staging of Noli Me Tangere, The Opera in the Philippines. They knocked on the doors of various government agencies but got no response. Luckily, in a chance encounter, they found their “fairy godmother”—Mercedes U. Zobel of the Ayala Foundation. The little Crispin is too cute. Noli Me Tangere, The Opera has cast two Crisostomo Ibarras, four Maria Claras, two Padre Damasos, two Eliases, three Sisas, and two Basilios. But there is only one Crispin: Santino Juan Santiago. His role may be short-lived, but when he returns for the finale, never let him out of your sight. His hands flail with much gusto as he sings. Noli Me Tangere, The Opera runs until February 3 at Tanghalang Nicanor Abelardo, Cultural Center of the Philippines, Roxas Boulevard, Pasay City. Tickets, priced from P1,000 to P3,500, are available through Ticketworld.